I’ve been such a slacker about updating my blog this year! 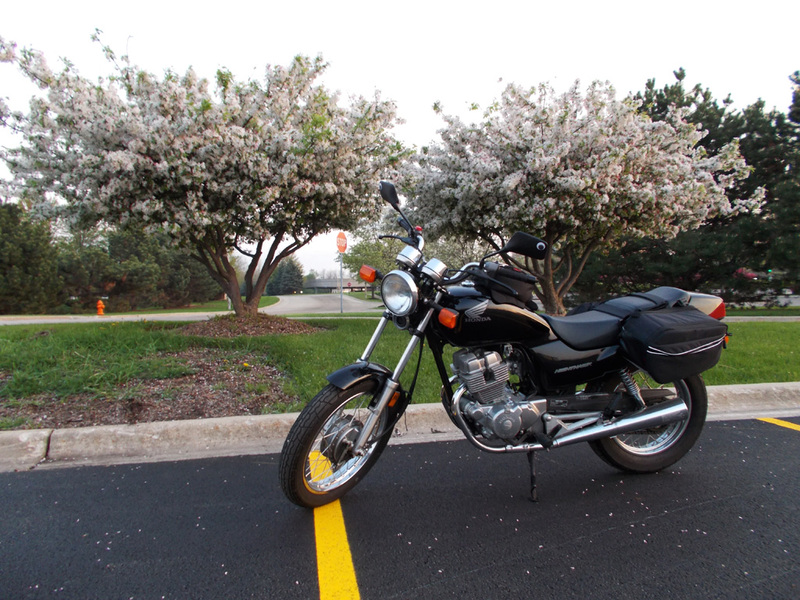 I’ve been riding quite a bit this spring and now summer. I’ve still been taking lots of photos, but haven’t been so diligent about the ride reports. At this point, some of those spring rides are so far removed, I can’t remember much about the actual ride. But the photos are still interesting, so I do want to share those at least. Lilacs in bloom on this May 6th ride! 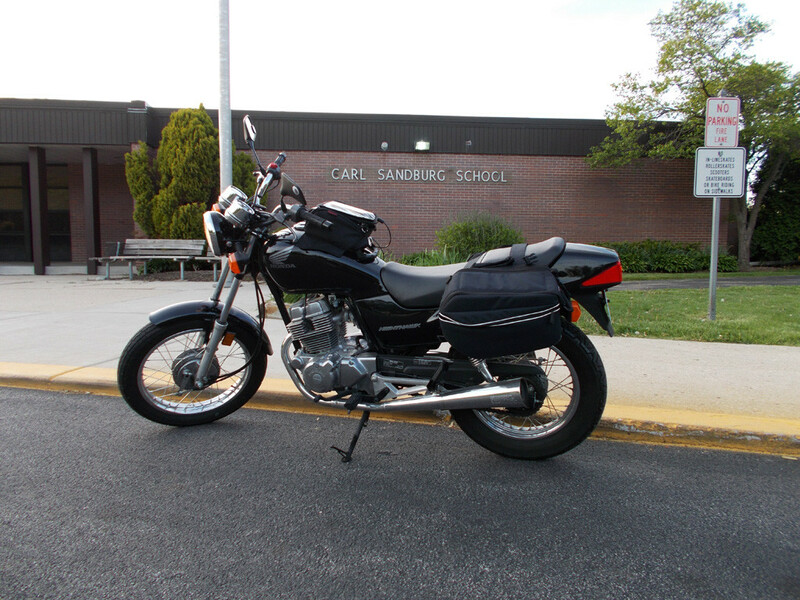 I wonder if the fog comes on little cat feet at the Carl Sandburg School. Hanuman, the Monkey God. Motorcycle for scale (sorry, was out of bananas). 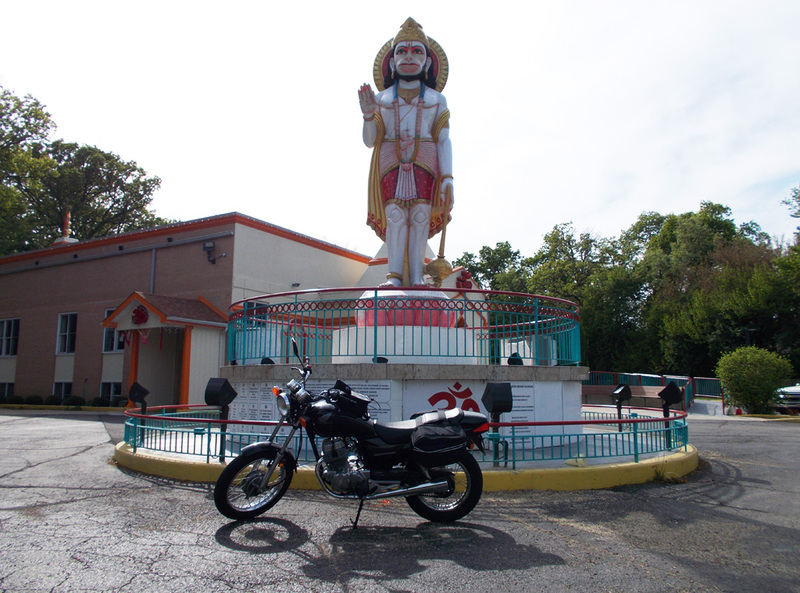 You can find Hanuman at the Hanuman Spiritual and Cultural Center in Glenview, IL. The statue reaches 22.5 feet in the air and weights over 45,000 pounds. Read more about the story behind the statue in this Chicago Tribune article. 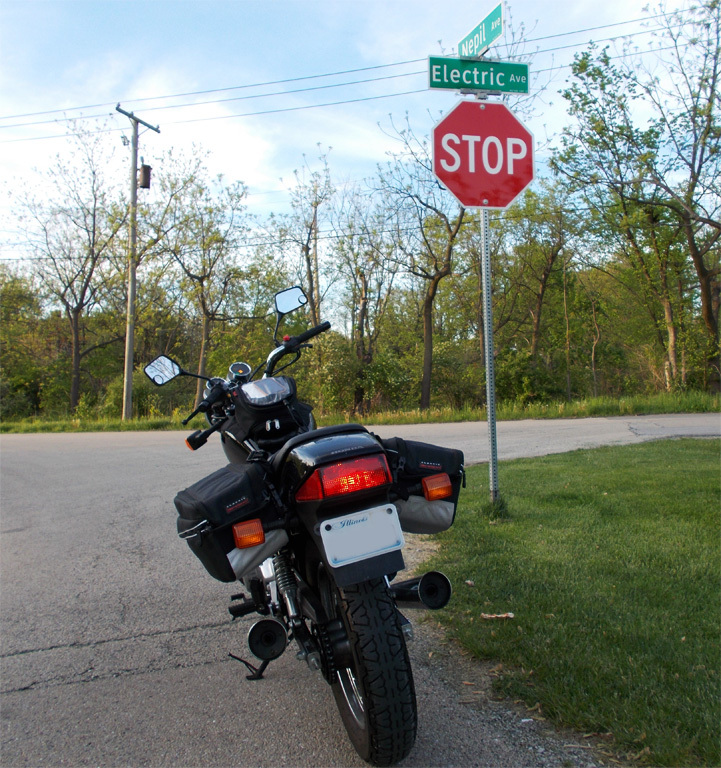 That’s it for Part 1 of my spring rides recap. Part 2 coming soon!